For travellers looking to experience the vibrant nightlife of Rio de Janeiro on a budget, Mellow Yellow Villa is one of South America’s most famous party hostels. The dorms are standard fare, with beds starting from $30USD per night, including the option of two huge “bunk-bed city” dorms with eight triple-decker bunks. Staying at the Mellow Yellow Villa in Rio will be an unforgettable experience. Don’t be fooled, the emphasis at this hostel isn’t on sleep. This is one-star accommodation with five-star atmosphere! The top floor bar descends into boozy bedlam on a nightly basis thanks to cheap caipirinhas and mojitos, often followed by mass trips to the trendy zone, Lapa, where the party continues into the little hours. The hot tub on the veranda is an added extra, and Copacabana beach is a few minutes’ walk away. Each dormitory room provides guests with bed linens, air conditioning and a flat-screen TV with cable channels. Room service can be requested for a surcharge. The hostel is 400 metres from Rio de Janeiro’s Copacabana Beach, Mellow Yellow features accommodation in shared dormitories with free Wi-Fi. Novo Rio Bus Station is 10km away. Make sure you take advantage of the free breakfast which serves fresh sausage, scrambled eggs, ham, cheese, fresh fruit, coffee or tea, and sweet cakes and breads, is served from 9am until 11am each day. Mellow Yellow Villa is 3km from Ipanema Beach, 3km from Urca District and 12km from Maracanã Stadium. Galeão International Airport is set 25 minutes’ drive away. Back in a gorgeous new Villa is everyone’s favourite Copacabana Hostel created by backpackers for backpackers. The hostel has been recently renovated with a fresh new look. Have a beer on the beach, have a caipirinha on the beach, have a beer in the bar, follow that with a vodka red bull and then it’s time to check out the local bars and night clubs. 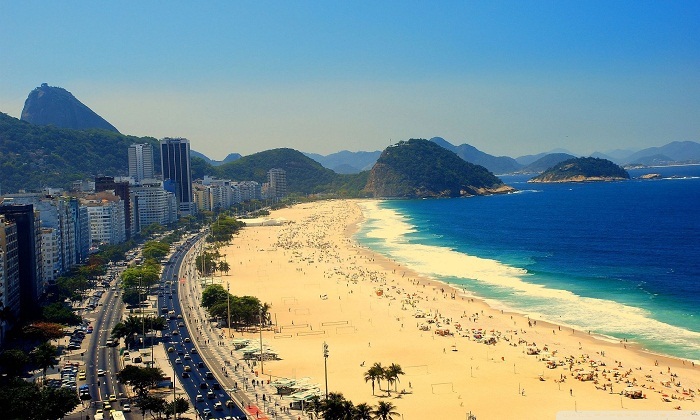 Rio has been the capital of fun for nearly 100 years for a very good reason. Nearby there is also jungle treks, amazing sights, and a nice flat mountain to run on for the adventurous traveller. For travellers looking for culture the staff at Mellow Yellow Villa can recommend capoeira and samba shows, museums, Portuguese classes, and provide all the information about on what’s going on in Rio and the surrounding area. Whether travellers want to see Christ the Redeemer, ride up Sugar Loaf, walk through the Forest, witness the frenzy of Rio’s finest Football teams in action, run on a mountain, dance with the locals, or discover what life is like in the Favelas, the staff can make it happen. 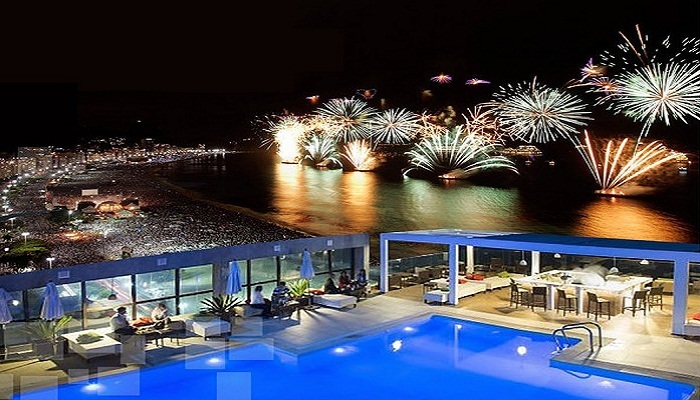 The hostel organizes trips and informs their guests about the best parties in Rio at the best prices. Deck Bar is situated on a prime location on top the Hotel Pestana Rio Atlântica. Directly on Rio’s world-famous Copacabana beach, the newly-minted Deck Bar offers a tantalizing combination of sophistication and natural beauty. The Deck Bar can be found on the 16th floor of the hotel, bringing patrons above the busy hustle of Rio de Janeiro’s streets and into the sky, providing a panoramic view of some of the city’s most famous landmarks: Pão de Açúcar, Leme, and Rio’s sister-city Niterói. 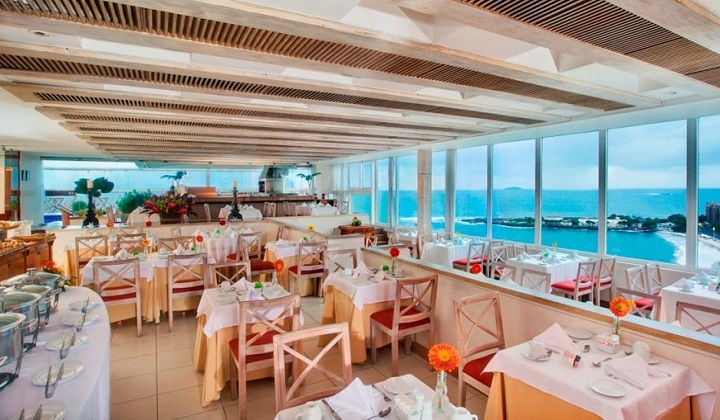 A similar restaurant, Skylab, is located in Copacabana, on the 30th floor of the elegant Hotel Othon. Skylab offers pristine views alongside fabulous food and drinks. From Monday through Thursday, a buffet is available at Skylab with a wide selection of salads, desserts, and à la carte items. For dinner, the restaurant serves as the exclusive kitchen of Chef Jean Yves Poirey, who cooks signature plates with a base in French cuisine. Located in Rua Aires Saldanha, a neat bar to check out is Drinkeria Maldita. Cocktails served in a 1950s setting at Drinkeria Maldita, which is part bar and part quick-snack restaurant. The decorations are reminiscent of 1950s malt shops, but the drinks are very 21st century. In fact, they have 98 different kinds of mixed drinks to choose from. Among the favorites to try are the Diablo (tequila combined with lemon and pepper) and the Caipisake (a caipirinha that, rather than being made with cachaca, is made with sake). They also offer excellent burgers, sandwiches and salads. Mellow Yellow Villa is located at Rua Republica do Peru 444, Copacabana, Rio de Janeiro, State of Rio de Janeiro 22021-040, Brazil (Formerly Mellow Yellow Backpackers). Bookings can be made by calling +55 21 2547 3483 or via their website Mellow Yellow Villa.